Since we're already talking about scrimping and splurging today, how do you feel about splashing out big bucks on haircare products? For a long time I was one of those people who would only buy drugstore haircare, but I've been trying to broaden my horizons lately and try new things. 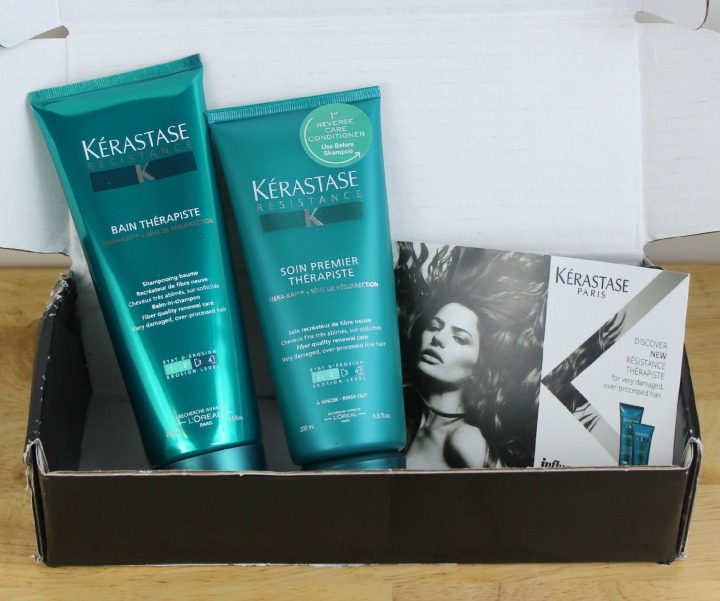 So when Influenster sent me a couple items from salon brand Kérastase's Resistance haircare line I was naturally quite curious—would they be worth the extra cost? Read on to find out! Smooth move. The good news is that my hair didn't fall out, and if you're not following up the shampoo with a hair mask, it might not be totally insane to use the shampoo first (or to do a conditioner-shampoo-conditioner sandwich). For my fine (but damaged) locks, I actually preferred the way my hair felt after doing a standard shampoo then condition. Kérastase can be purchased online from their website. and Amazon.com. The full price of both the shampoo (250ml) and conditioner (200ml) is $42 per bottle, but if you want to save some money, it seems that a lot of Amazon sellers (many of which seem to be based in the UK) have them priced around $25 per tube. AQUA/WATER, SODIUM LAURETH SULFATE, COCO-BETAINE, GLYCERIN, GLYCOL DISTEARATE, AMODIMETHICONE, SODIUM CHLORIDE, DIMETHICONE, PPG-5-CETETH-20, SODIUM BENZOATE, POLYQUATERNIUM-6, PEG-150 DISTEARATE, SALICYLIC ACID, LANALOOL, 2-OLEAMIDO-1,3-OCTADECANEDIOL, CARBOMER, TRIDECETH-6, CITRONELLOL, GLYCINEM ARGININE, PROLINE, TYROSINE, GLUTAMIC ACID, GERANIOL, SERINE, HYDROXYPROPYLTRIMONIUM, HYDROYLZED WHEAT PROTEIN, CETRIMONIUM CHLORIDE, BENZYL ALCOHOL, SAFFLOWER GLUCOSIDE, ISOEUGENOL, TREHALOSE, TAMARINDUS INDICA SEED, POLYSACCHARIDE, MYROTHAMNUS FLABELLIFOLIA LEAF EXTRACT, CITRIC ACID, SODIUM HYDROXIDE, PARFUM/FRAGRANCE C175417/1. One thing that immediately jumps out at me from both of these lists is the number of amino acids listed. To be honest my knowledge of haircare science is woefully low, but based on what I've read, these acids are meant to penetrate damaged areas of the hair and help "fill in" for lost mass. Or at least that's what I think they're supposed to do. I also spy hydrolyzed wheat protein on the list, which is a common (but excellent) ingredient for smoothing and strengthening hair. There's also something called Myrothamnus Flabellifolia Leaf Extract, which sounded wonderfully weird so I had to look it up—turns out that the Myrothamnus Flabellifolia plant is sometimes referred to as the "resurrection plant" because of it's ability to spring back to life once watered after long period of looking dry and dead. Fascinating! The shampoo is quite creamy, but lathers well and doesn't feel slippery or greasy—in fact if I don't follow up with some sort of treatment or conditioner, I find that it leaves my hair a little too dry. The conditioner is rich and creamy but also not too heavy or greasy for my fine hair. I'm not sure how to describe the scent of the products... you know how some salon shampoos have a pleasant and almost "fancy" perfume smell that's sort of indistinguishable? That. One thing I can tell you with certainty is that my hair feels very different after using these than it does after using moisturizing shampoos from the drugstore. It almost feels like my hair has been "coated", but not in a way that makes it oily or stringy... it's like someone has gone in and gently smoothed down the surface of each of my strands so they hang straight and lustrous without clinging to each other (AKA tangling). My hair looks really soft and good but also feels good and is much easier to comb that usual, which in my estimation makes these products hugely successful. Overall I ike Kérastase Resistance Thérapiste Bain Shampoo and Soin Premier Thérapiste quite a lot. I do think $42 for a 250ml bottle of shampoo is kind of insane, particularly because I have long hair and need to use a lot of product, not to mention the fact that I live with someone who likes to dispense tangerine-sized globs of shampoo to wash his three inches of hair. But for now I've banned my boyfriend from touching my precious Kérastase, and will keep the more budget-friendly Amazon and overseas vendors in mind for a possible repurchase once they run out. So, to answer the original question: Is it worth the splurge? If your budget allows it, I say yes. 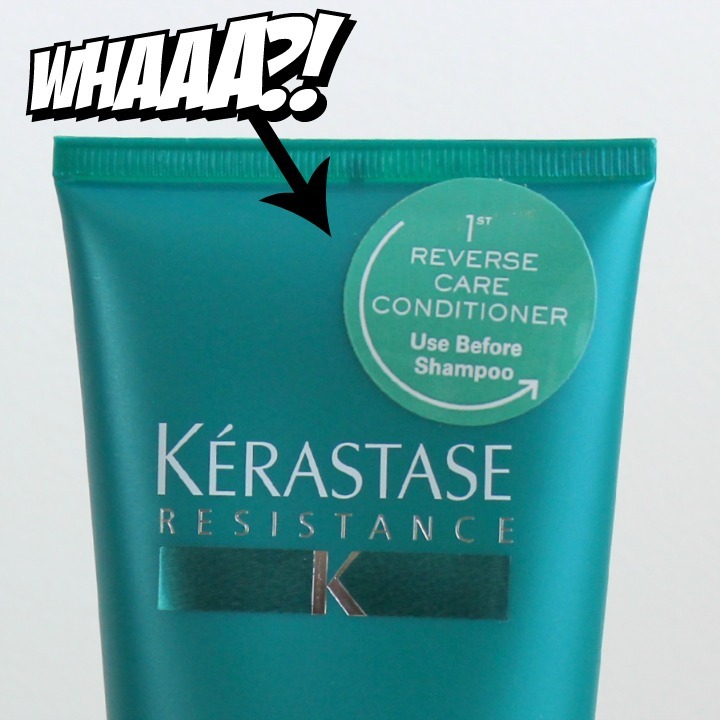 While I don't think Kérastase Resistance is necessarily ten times better than products that cost ten times less, it did work significantly better for me than most of the drugstore shampoos I've tried in recent memory, and that's definitely worth something. If money's tight, you're probably better off finding gentle shampoo and conditioner from the drugstore and investing in a good hair mask for weekly treatments. 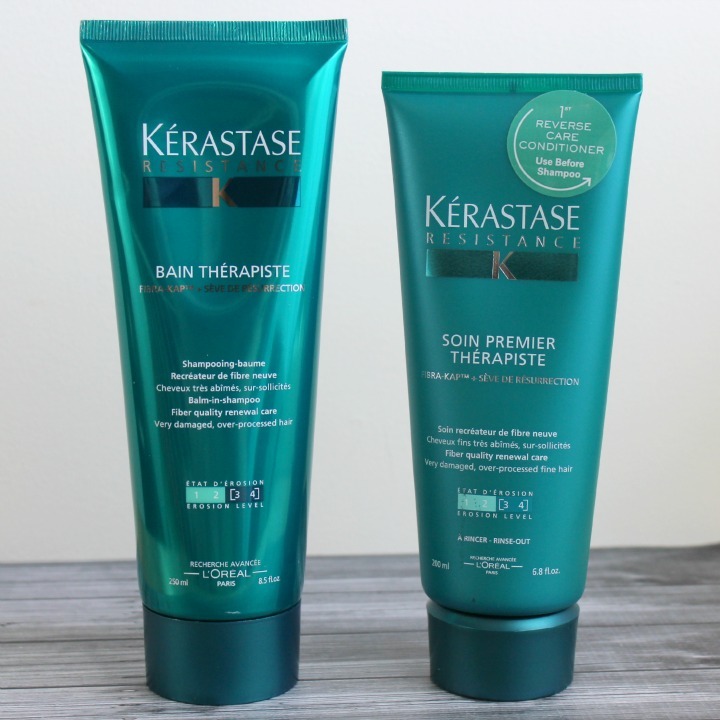 What do you think of Kérastase Resistance Thérapiste Bain Shampoo & Soin Premier Thérapiste Conditioner? 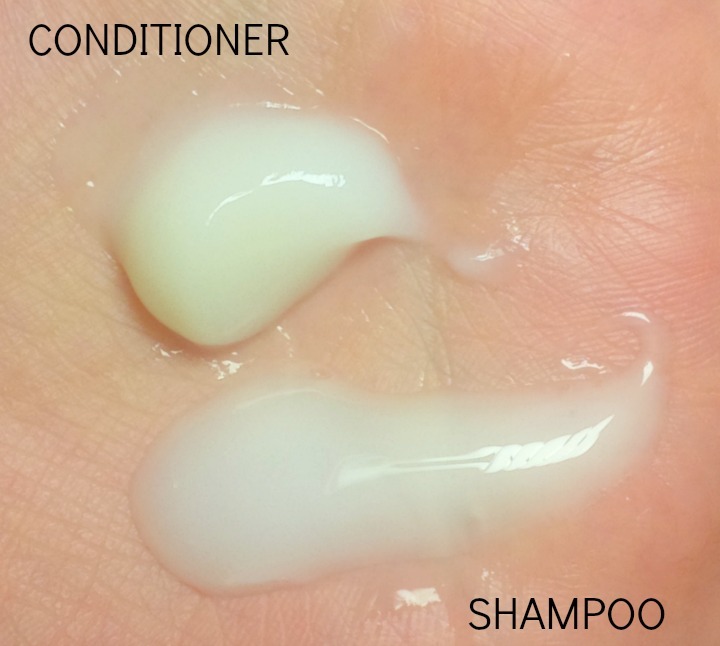 What's the most you would pay for an everyday shampoo and/or conditioner? Let me know in the comments!